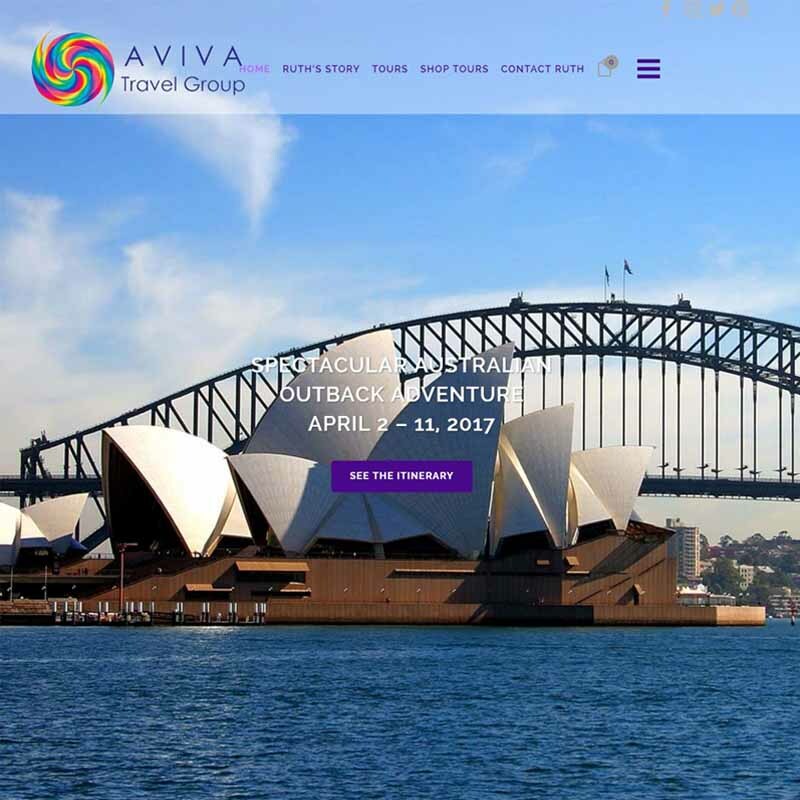 Aviva Travel Group wanted a new site that had online purchasing and interaction capabilities with their clients. Integration with Social Media, especially FaceBook was very important. The visual component of the site also held great importance to capture the eye of potential clients. The design incorporated all the things that were important to the owner, Ruth Bridges. There is online shopping with a customized deposit structure build in, wonderful imagery, content for each page and tour, and SEO that is being managed to enable Aviva Travel Group to GET FOUND ONLINE. There will be more to come for this client as they rise in the rankings on Google.